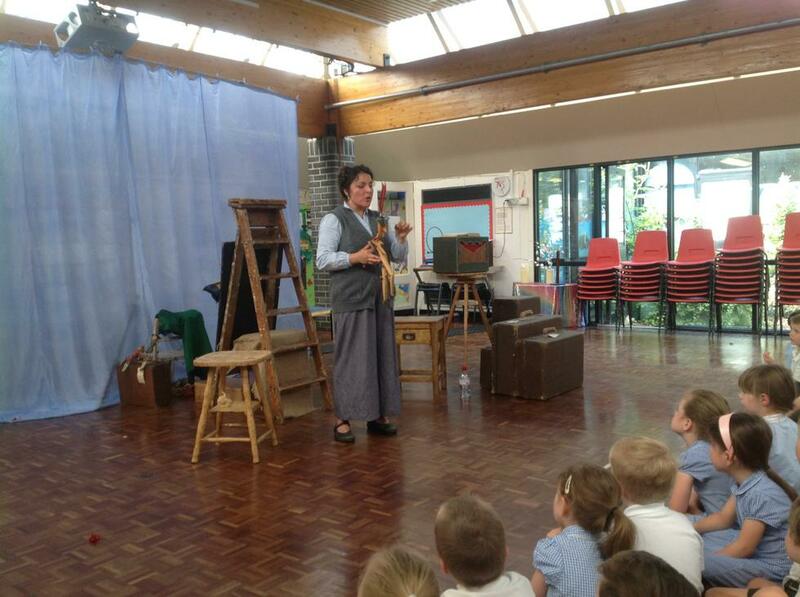 Yesterday saw the second of our 2 performances from the theatre - the Pied Piper puppet show. This performance was for Owl, Robin and Fox classes. It was a one-woman show, telling the story through a range of different types of puppets. The workshops that followed enabled the children to have a go at making a puppet of their own. Owl class in particular are now really keen to carry on making puppets themselves through their classroom activities and are writing about the show. You could tell how engaged the children were from the hush in the hall and the fact that they sat for an hour's performance!